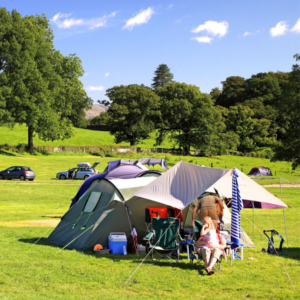 Hawkshead Hall is a large grassy campsite with superb views on all sides of the site. 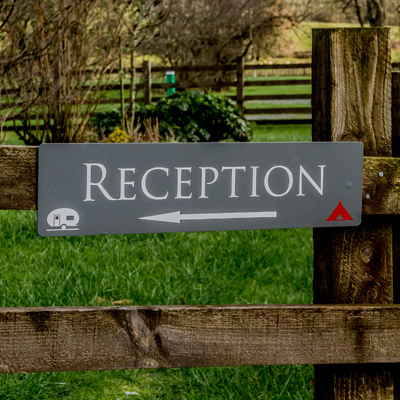 If you cannot arrive on site before 6pm please keep us informed of your arrival time. Please do not pitch after 9.30pm unless by prior arrangement. Please respect other people’s privacy at all times. Please try to keep noise levels to a minimum between the hours of 11pm and 7am especially if you are leaving the village in the evening. Noisy or unruly behaviour will not be tolerated. Bins are provided for your litter – please use them. We do not allow anyone to have open fires on site. Barbeques must be extinguished by 10pm. Whilst on site, please keep all dogs on leads. We request that all sites are vacated by 12 noon on the day of departure. Please note all Electrical Hook up Pitches are now to be paid in full four weeks prior to arrival. The electric tent pitches are flat and made up of pea gravel with a grass piece in between pitches. The pea gravel means we virtually eliminate mud, even when we experience heavy rain. The pea gravel is smooth and round, but it is recommended that you bring an extra ground sheet to put down under your tent and rock pegs. 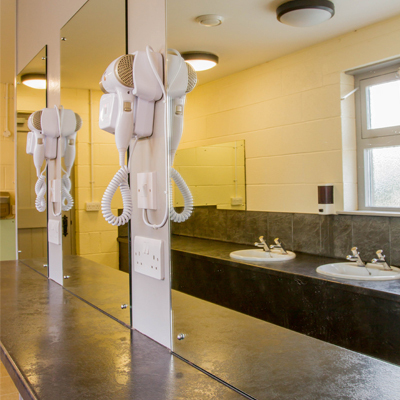 A large heated shower / w.c. block including: wash basins with hot and cold water, shaving points, hair dryers are also available. Separate campsite utility room for washing dishes etc. Maps, information and brochures on the local and surrounding area are available from the TV room.